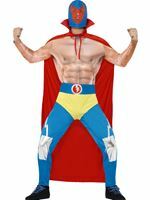 You are Sure to make a Dramatic Entrance with our Adult Mexican Wrestler Costume! 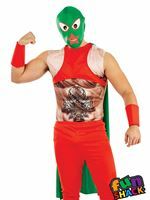 Have a Fighting Chance of Having the Best Fancy Dress Costume at your next Mexican Party when you choose our Adult Mexican Wrestler Costume. 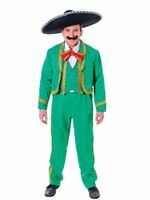 You could also Dress up as the Hilarious 'Nacho Libre' from the Popular Jack Black Film at your next Movie Themed Event. 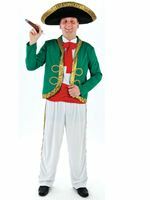 This Brilliant Outfit will have your Punching above your Weight complete with a Deluxe Red Cape with White Stripes and a Gold Piping Trim. Also included are a Pair of Red and White Block Trousers with an Elasticated Waist and Red Boot Tops with Faux Printed Laces. 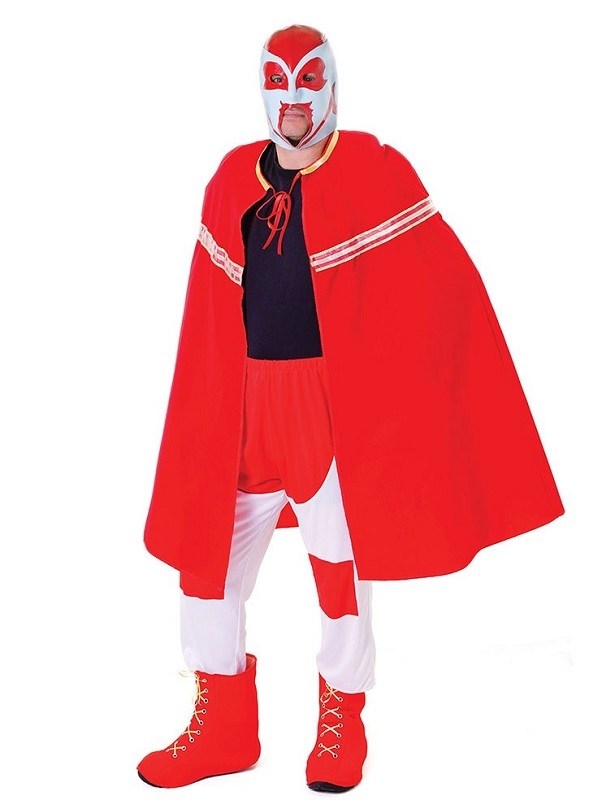 Stay Hidden with the Over Head Red and White Face Mask. 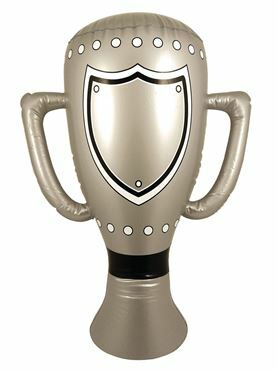 Please note that the Black Top is not included. One Size 30" - 32" 32"